Sunday 14th July: Arrive Heathrow, meet up and have dinner. Monday 15th July: Coach to Stamford, and then Hamstall Ridware to hear a talk from JASM and then on to Buxton. 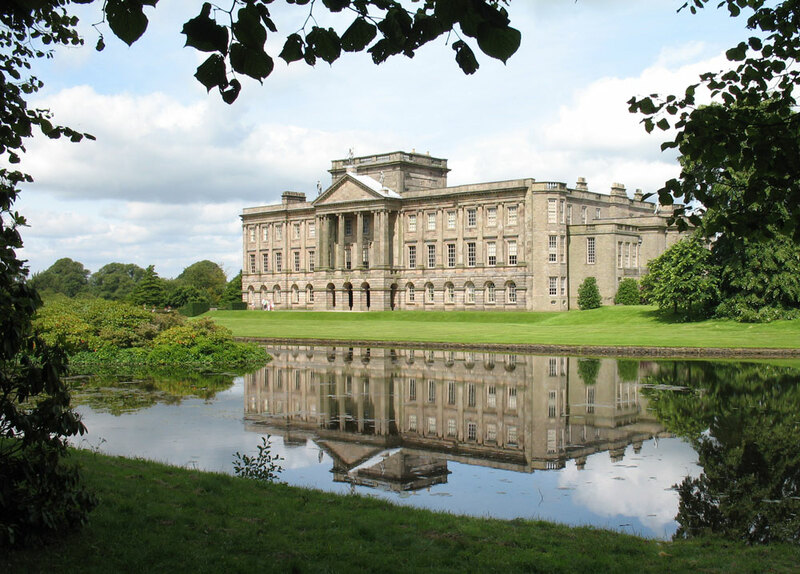 Tuesday 16th July: Trip to view Lyme Park and Longnor; then return to Buxton. 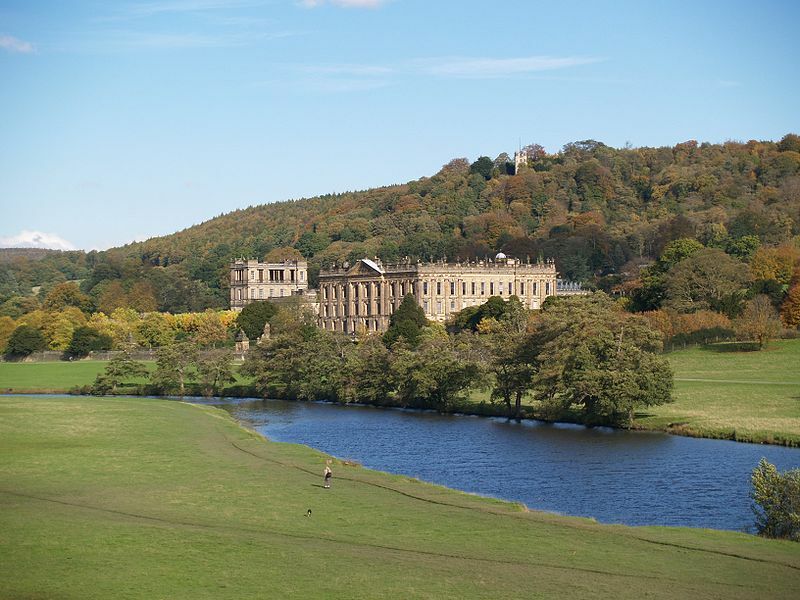 Wednesday 17th July: Visit Bakewell, then guided tour of Chatsworth House, meet JASM then back to Buxton. 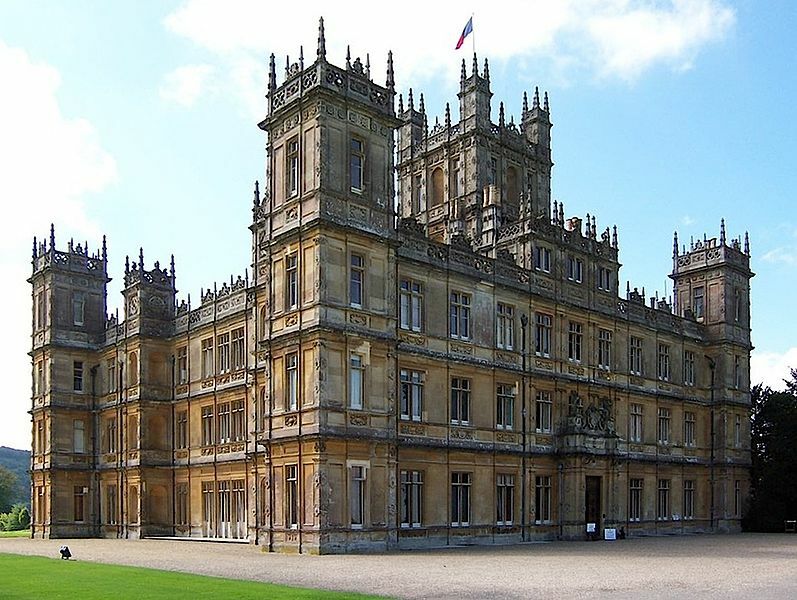 Thursday 18th July: Travel to Stoneleigh Abbey (guided ‘Austen Tour’ of house and view Costume Exhibition) then on to Adlestrop before going to Winchester. 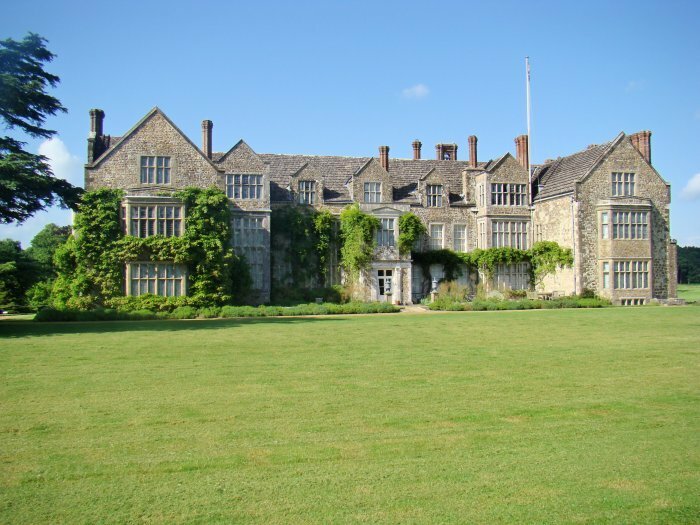 Friday 19th July: Walking tour of Winchester, coach to Steventon and St Nicholas Church and hear a talk on Steventon “Then and Now” before going to Chawton Village and private tours of the House and Library. In the evening meet Hampshire members of the Jane Austen Society. Hotel in Winchester. 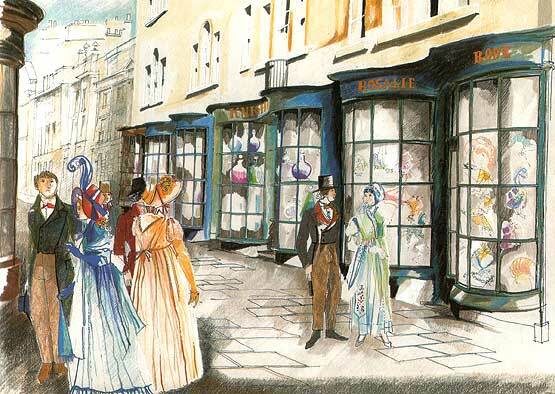 Saturday 20th July: Ceremony at Jane Austen’s grave, Winchester Cathedral, followed by a walk to 8 College Street. Return to Chawton for the JAS AGM, then evensong at St Nicholas Church. Sunday 21st July: Visit the Close of Salisbury Cathedral followed by a tour of Wilton House, Wiltshire. Journey to Bath via Lacock. 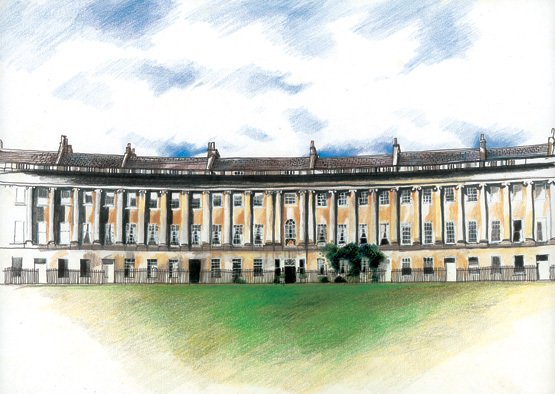 Monday 22nd July: Guided walking tour of Bath visiting houses where Jane Austen lived, the pump room, the Jane Austen Centre and the Assembly Rooms for tea. 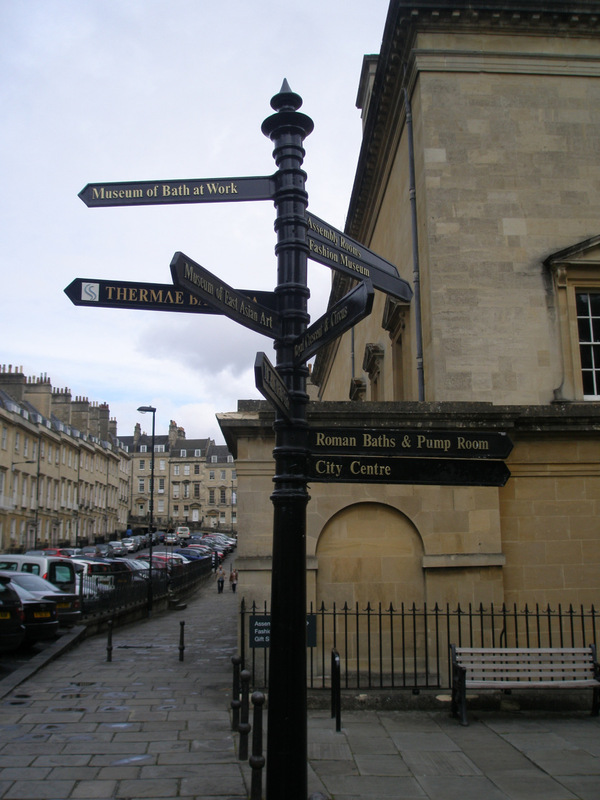 Tuesday 23rd July: Free Day to explore Bath further. 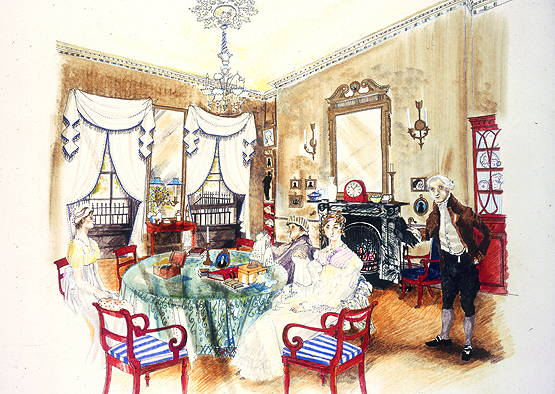 Attend a private Regency Supper with Austen-themed entertainment in an elegant Bath Townhouse. Wednesday 24th July: Travel to Brighton and tour the Royal Pavilion. 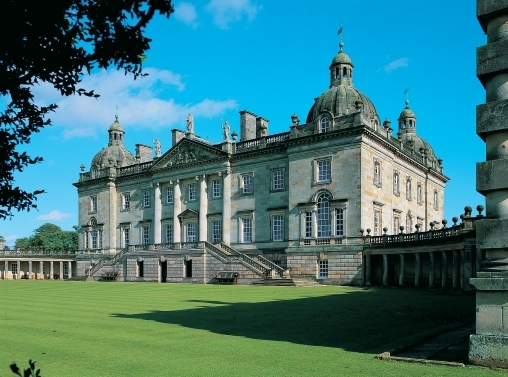 Explore the campgrounds used by the militia during the Napoleonic wars. Free time to explore Brighton then to a country-house hotel for farewell dinner. Thursday 25th July: Transport to Gatwick or Heathrow or onto London for those extending their stay. It all seems ‘helter-skelter’ enough! I regret that this commentary’s structure on the JASNA tour is less of a narrative and more a series of lists, like the one above. Carol Taylor and I had arranged to meet their bus at the Shoulder of Mutton pub for refreshments, but they were delayed owing to a bizarre accident. A very large tractor and trailer ran into a ditch to avoid colliding head-on with their bus, and completely blocked the road. Anyone who has driven through those narrow country lanes can appreciate their bus driver’s reluctance to reverse for any distance. Through the use of mobile phones, help was requested and given, and after a further detour they disembarked finally, and headed inside making full use of the pub’s many facilities. They seemed pleased to have made it unharmed but were bemused by the absence of air-conditioning. Our explanations that England is seldom hot enough for long enough to warrant air-cooling, evoked a mild look of surprised consternation. In preparation we had organised a package of information for each of them which seems such a waste not to share with you in turn. 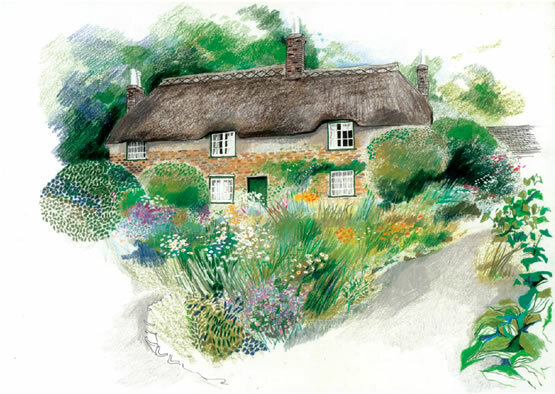 Included in their package was an enlarged copy on heavy paper of Carol’s wonderful sketch of The Rectory which appears in Transactions Issue No 10 and which was very well received. 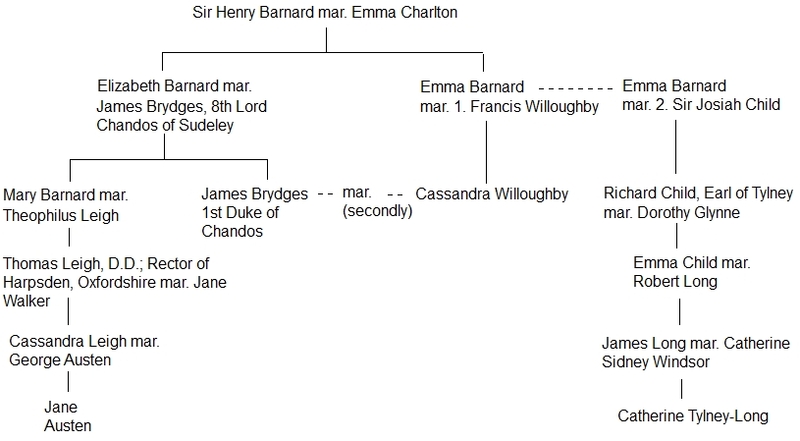 Edward and Jane were cousins because their mothers were sisters and granddaughters of Theophilus Leigh of Adlestrop. The Rev Cooper wrote evangelical and uncompromising sermons and he saw “eye to eye” with his Bishop, Henry Ryder. Voltaire said that, “Anglican clergy had no major vice save avarice” and it seems even a friendly bishop had occasion to reprimand the Reverend Edward Cooper for keeping his curate, the Reverend John Riland, at Yoxall, on a miserly stipend. For all Jane Austen’s seeming dislike of her cousin, and his letters of “cold comfort”, Edward Cooper made many good friends at Hamstall. Even before he and his wife had moved up from Harpsden he had befriended Edward Riley who was to be his new neighbour. By the summer of 1800, when his parents-in-law paid their first visit to Staffordshire, Cooper’s acquaintance had swelled to include the inhabitants of most of the great houses in the vicinity, as well as the clergymen of the many surrounding villages and several from the cathedral town of Lichfield, just eight miles distant. Besides the fact that he was a well-educated man, Edward Cooper was very wealthy, having inherited the fortune of his grandfather, the goldsmith and banker, Gislingham Cooper; so he would have been quite at home among the local gentry. He appears to have chosen his closest friends from among those of evangelical persuasion, some of whom had also met or were deeply interested in the life and work of Samuel Johnson. These points may be of special interest to readers of Mansfield Park. 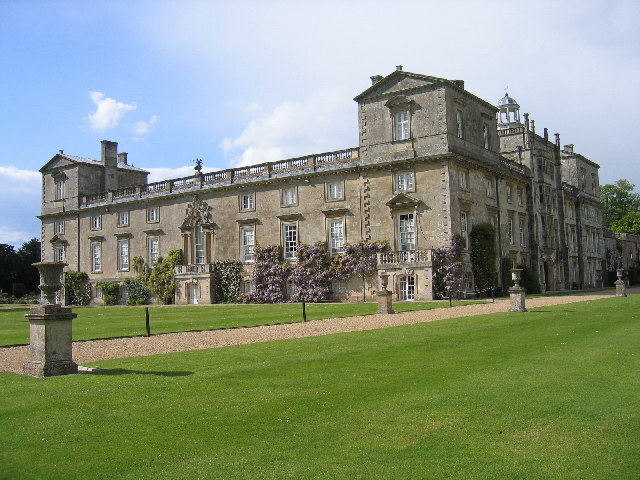 Adlestrop, a Cotswold Village, features the Manor House, Adlestrop Park, – which is a gothic mansion ‘improved’ by Repton – property of James Henry Leigh (the Leigh family had lots of ancestral lands). At the nearby Rectory lived the Reverend Thomas Leigh (Mrs Austen’s cousin) who on the death of his remote relative in 1806, the Honorary Mary Leigh, went to Stoneleigh Abbey in the company of Mrs George Austen with her daughters Cassandra and Jane. 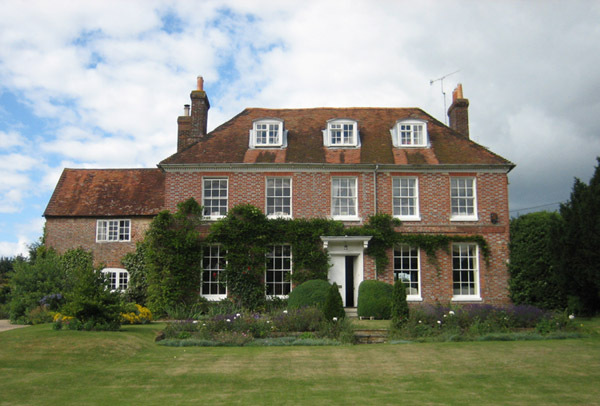 After the family interests were settled the Austen’s visited Hamstall Ridware and the Coopers in the late summer of 1806 and stayed about five weeks. The proximity of church, rectory and manor house could not have escaped Jane Austen’s notice. The river and the stewponds immediately beyond the churchyard could prefigure Delaford in Sense and Sensibility. Left out of the novel is the tower, originally an outlook tower, now preserved as a ‘folly’. Also, we have Sense and Sensibility character names with people known to, or friends of, the Coopers: Ferrars, spelt with two “e’s” but still with an ‘F’, Dashwood, Palmer and Jennings. 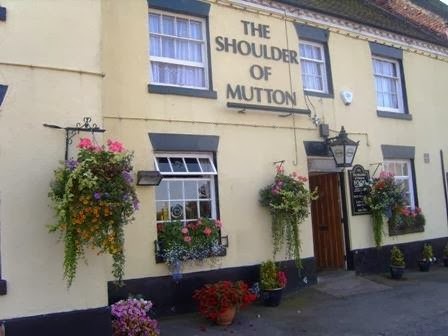 Also, the Austens would have passed through Middleton on their journey from Stoneleigh Abbey in Warwickshire to Hamstall, and in addition Lord Middleton was a distant relation of Mrs Austen and she, herself, was named after the sister of the first Lord Middleton – Cassandra Willoughby. Stoneleigh Abbey was maintained and added to over time by the wealth of the Leigh family and has an odd mix of styles: it has an Elizabethan East Wing, an 18th Century West Wing and a 14th Century Gate House. 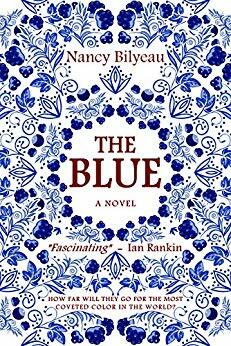 Its rooms are altogether lighter and more colourful than one might expect – and one can easily imagine Catherine Morland having to swallow her disappointment at the shortage of Gothic Horrors. 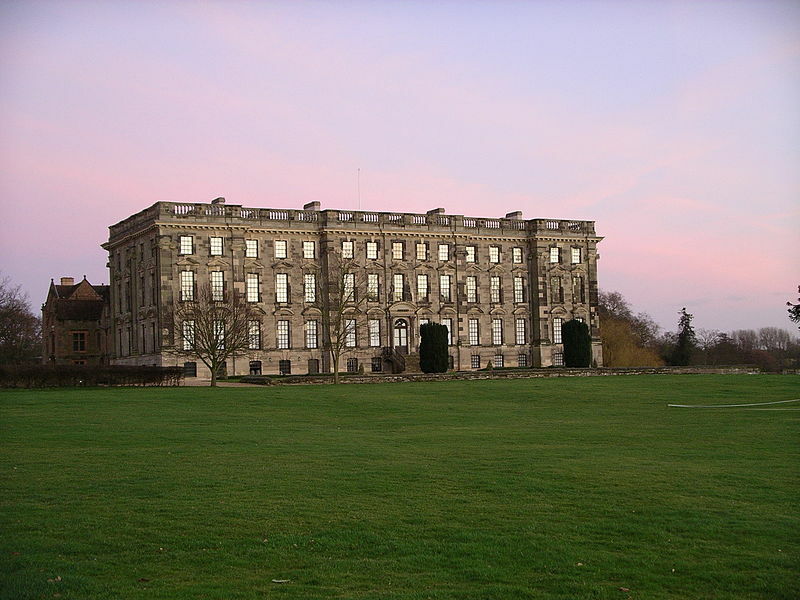 Just how far we can go to claiming that Stoneleigh Abbey as the model for Northanger Abbey is aided by the existence of a now concealed staircase leading from the stable yard that might have been the model for Henry Tilney to ascend and surprise Catherine when she was seeking Mrs Tilney’s bedroom. Despite all of this the wall-plaque at Stoneleigh Abbey misspells the Austen name! spent many an autumn with the Gisbornes at Yoxall Lodge engaged in abolition work. He and Gisborne had been at Cambridge together and had shared much companionable conversation late into the night. However, they had parted company after graduation and only resumed contact when Gisborne heard that Wilberforce had taken up the issue of the slave trade in the House of Commons. 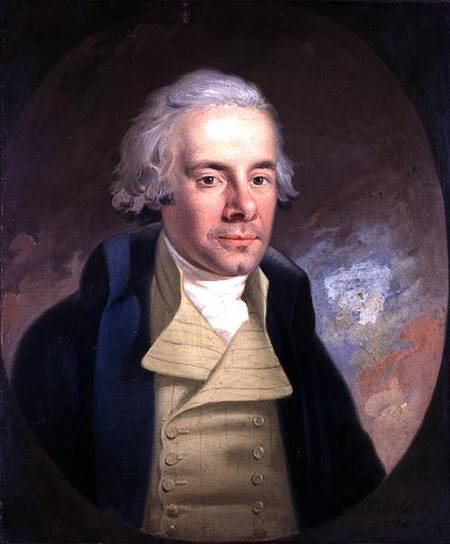 He promptly wrote to Wilberforce: “I have been as busy in town as a member of Parliament preparing himself to maintain the Abolition of the Slave Trade, and no doubt much more usefully employed. I shall expect to read in the newspapers of your being carbonaded by West Indian planters, barbecued by African merchants, and eaten by Guinea captains; but do not be daunted for – I will write your epitaph.” And Wilberforce was soon taking advantage of Gisborne’s quiet haven in the forest, where he and Mrs. Gisborne’s brother worked on the vast quantity of evidence on the slave trade, so as to become fully conversant with it and thereby strengthen their arguments. For much of the day they would work uninterrupted in an upper room, eating little, only coming down to walk in the forest for a half hour before dinner. There Gisborne would hear his friend’s melodious voice far away among the trees. 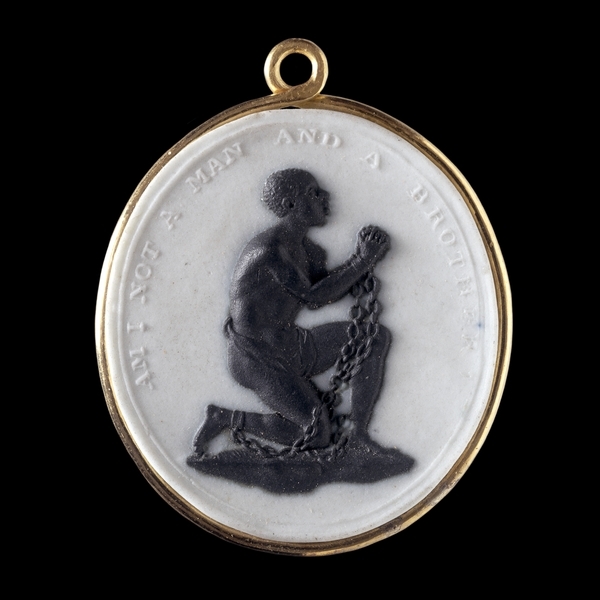 On one such visit Wilberforce did take time off to accompany Gisborne to Etruria to call on Josiah Wedgwood who had manufactured a jasper-ware cameo depicting a slave in chains and the words: “Am I not a man and a brother.” Had they not the anti-slavery interest in common Gisborne would have met Wedgwood through his sister-in-law. Millicent Gisborne’s step-father, Erasmus Darwin was family doctor and friend to Wedgwood, another member of the Lunar Society. 3. King, Gaye. “Jane Austen’s Staffordshire Cousin: Edward Cooper and His Circle.” Persuasions 15 (1993): 252-59. I had included this poem, not only because it is both evocative and beautiful, and suitable reading on a hot English summer’s day, but because through the name, Adlestrop, we have the Theophilus Leigh connection as well as the connections with Edward Cooper’s parish and finally, JASNA were actually to go there as part of their itinerary on this tour. Nevertheless, I was still asked why it was included! OF THE REV. EDWARD COOPER L.L.D. IN THE 63rd YEAR OF HIS AGE. SHE DIED IN THE 63rd YEAR OF HER AGE. On her visit to her cousin Edward Cooper, in the summer of 1806, Jane Austen would have been familiar with the Church of St Michael and All Angels, Hamstall Ridware. The historic church, dating in part from the 12th Century, stands beside the Rectory on the beautiful site overlooking the River Blythe. This memorial on the east wall of the north aisle of his Church, reveals Edward Cooper’s connection with the Leighs of Adlestrop. The Jane Austen Society Midlands provided funds to have the tablet cleaned and the letters re-blacked. On Sunday, 16th August, 1998 one of the two hymns written by Edward Cooper was sung when the retiring vicar, the Revd, F Finch, rededicated the memorial. (1738 – 1817)) of Hardwick House AD 1756 – 1808. Collated with notes by Emily J Climenson in 1899*. 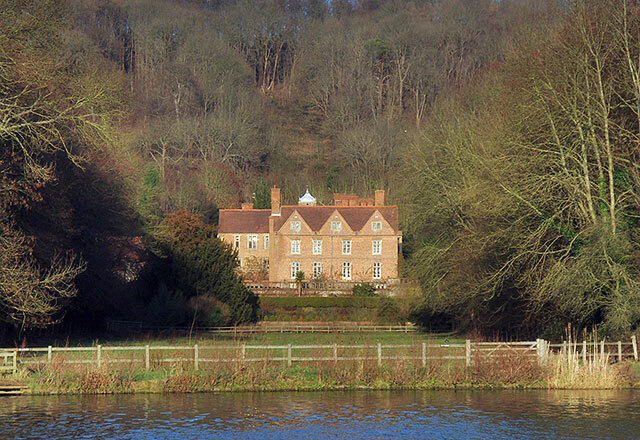 Hardwick House is in Whitchurch, near Henley-on-Thames, Oxfordshire. In 1909 Hardwick House was bought by Charles Day Rose, and they are both said to be models for “Toad of Toad Hall” although there are other claimants for E H Shepard’s and Kenneth Grahame’s inspirations. In the diaries of Mrs Philip Lybbe Powys there is an entry for Jan 1776, when Jane was less than a month old, which gives first hand information on Oxfordshire, England of the time. “The most severe frost in my memory began January 7th and lasted till February 2nd. It began to snow about two in the morning as we were returning from a ball at Southcote, and kept snowing for twelve days, tho’ none fell in quantities after the first three days, but from the inconvenience from that on the ground was soon very great, as strong north-east winds blew it up in many places twelve or thirteen foot deep, so that numbers of our cottagers on the common were oblig’d to dig their ways out, and then hedges, gates and stiles being invisible, and all the hollow ways levelled, it was with vast difficulty the poor men could get to the village to buy bread; water they had none, but melted snow for a long time – and wood could not be found – a more particular distress in Oxfordshire, as our poor have always plenty of firing for little trouble. 14th March 1793: was the day our dear Caroline was married to Mr Cooper, son of the late Dr Cooper, of Sonning, Berks, a match that gave all her friends the highest satisfaction, as there cannot be a more worthy young man. We had all intended to have the ceremony perform’d in London, but found some difficulties about residence, parish, &c., so are determin’d to have it at Fawley; so sent to our son Thomas not to come up, but to meet us there, with Phil and Louisa. 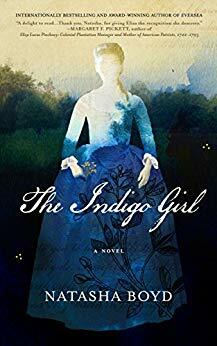 I was so affected by the loss of my dear girl (who till latterly I had never parted with for even one night) that I dreaded how I would behave at the time. They all persuaded me not to go with her; so her father, Mr Cooper, and herself went to Fawley the day before, and the ceremony was over before any but our own family knew that it was to be performed there. And Tom, who had been all the week before in parties in our large neighbourhood, was afterwards complimented at keeping a secret even better than a lady! As soon as it was over, Mr Powys and Tom set off for London, and Phil and Louisa for Hardwick, the bride and groom for Sonning. 3rd December 1794: Edward Philip Cooper was christened at Harpsden Church (Mr Cooper then in holy orders, was curate at Harpsden for the Rev Thomas Leigh, rector who was non-resident). My mother, Mr Powys, Mrs Williams and Mr Henry Austen, sponsors. He had been half-christened before. 2nd February 1795: On the 11th managed to drive to Harpsden to see my Caroline, as we had never met since the 23rd December. 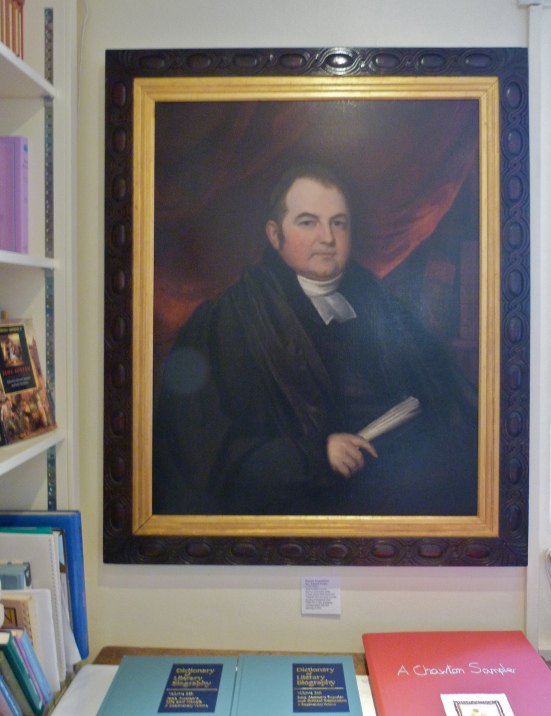 25th February 1795 the Fast: My brother being in residence at Bristol, our son, Mr Cooper, preach’d. The frost had lasted eleven weeks on the fast-day. 29th November 1795: Our dear Caroline brought to bed of a daughter, Isabella Mary. 1st January 1796: At the christening of Isabella Mary (Cooper), at Harpsden, myself and Mrs Leigh godmothers, Dr Powys godfather. Stayed to dinner and supper; not home till two in the morning. Weather very different from last year; quite mild, had no frosts but high winds and rain. 6th July 1796: Stayed with Caroline, Mr Cooper being gone to London to meet his brother, Captain Williams, who soon after had the honour of being knighted by his Majesty for his gallant behaviour at sea. 7th July 1797: Cassandra Louisa’s christening at Harpsden Church. Mrs Austen and my daughter Louisa godmothers. Dr Isham godfather. 19th December 1797: I went to Harpsden. 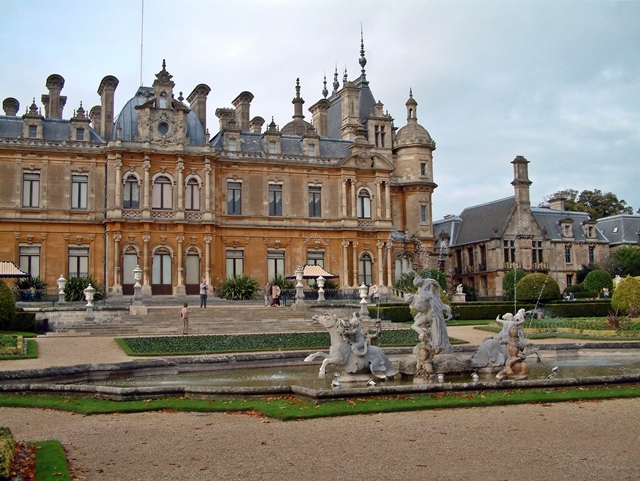 Mr Powys and Tom went to Bletchingdon Park to shoot, and were robbed by a highwayman only four miles from Henley, on the Oxford Road, just at three o’clock. We hear the poor man was drowned the week after, by trying to escape, (after having robbed a carriage), through some water which was very deep. He behaved civilly, and seemed as he said, greatly distress’d. 23rd December 1797: Edward drove Caroline and myself to Reading in the tandem. 29th January 1798: The Gentlemen’s Club. Caroline and I met the Fawley Court family at the Henley play. All the gentlemen came to the farce; a very full house, and better performers than one could have imagined. “The Jew” and “The Poor Soldier”. The company put £100 into the Henley Bank to answer any demands upon them, and as a surety of their good behaviour. Rather unusual for strollers in general. 14th August 1798: . . .At Canterbury . . . . We were so alarm’d for our dear Cooper (This happened at Newport, Isle of Wight) whose health had been so bad for some time, and who was one of the most affectionate of brothers, that we were quite miserable, and wrote immediately to Caroline that, if they the least wished it, we would return immediately after we received their next letter, and, as that must be some days coming, we were greatly distress’d and hardly knew how to manage, as the very next day had been some time fixed on for us all to set out for our intended tour through the Isle of Thanet;. . . . . . . .
21st August 1798: . . . . . . I had received a letter from Caroline to insist on our not shortening the time of our return, as his (Cooper’s) health was tolerable . 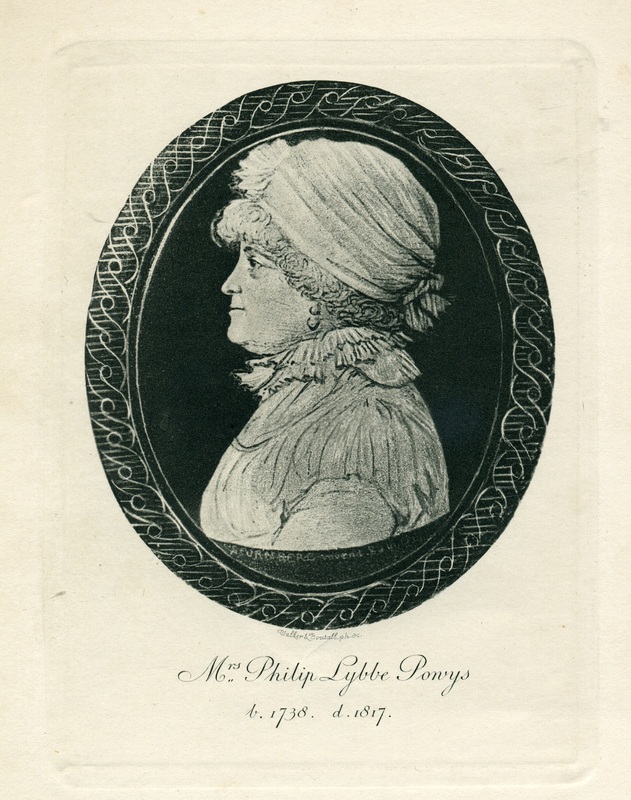 . . . . . .
25th August 1798: I could not resist adding this description of what Mrs Philip Lybbe Powys as hostess for her bachelor brother-in-law the Dean of Canterbury provided for dinner for Prince William of Gloucester, nephew of George III, when he visited Kent in the summer of 1798. On this Saturday they sat down fourteen at a table to eat: Salmon Trout Soles, Fricando of Veal, Vegetable Pudding, Raised Giblet Pie, Chickens, Muffin Pudding, Ham, Curry of Rabbits Soup, Preserve of Olives, Open Tart Syllabub, Haunch of Venison, Three Larded Sweetbreads, Raised Jelly, Maccaroni, Peas, Potatoes, Buttered Lobster, Baskets of Pastry, Goose, Custards. 30th January 1799: Went from Hardwick, to stay with Caroline, while Cooper went into Staffordshire to see his living at Hamstall Ridware, that Mrs Leigh (from the Leighs of Addlestrop, Gloucestershire, and Stoneleigh, Warwickshire. Cooper’s mother was a Miss Leigh) had just been so kind as to present him to. The roads were so bad with snow and frost, we were obliged to go round by Caversham, but got safe to Harpsden to dinner. 1st February 1799: It continued snowing, and was so deep we were much alarmed for Cooper on his journey, as he had promised to write; but the Oxford mail had been stopped that day, a circumstance that had not happened for thirteen years. 3rd February 1799: Snow continued, but we were happy in having a letter from Cooper to say he was got safe back to Oxford, having been forced to walk many miles, and hoped by the same method he might be able to get home the next evening. There was no church on the Sunday at Harpsden or Fawley, as no one could get to either. The icicles on the trees hanging down was a most beautiful sight, when the sun shone on them. 4th February 1799: A hard frost. Cooper came by the Oxford stage. 23rd September 1799: Caroline and Cooper went to his new living in Staffordshire for a few days to furnish the house; the four children and two maids came to us. They had been staying the week at the Hall’s, Harpsden Court, previously. .Sunday September 13th was to me one of the most melancholy days I ever experienced, as it was to part me and my dearest Caroline, who was to set off the next day for Staffordshire; and as Mr Cooper was to do duty at Henley Church that day for Mr Townsend, he thought it best they should all lay at Henley, to make the separation less dismal. They would not stay to breakfast, but set off as soon as they got up. The dear little children stay’d till after morning church, and not knowing or feeling any of the anxiety that we did, seem’d perfectly astonished to see us shed tears, and that we did not feel equal pleasure with themselves at the idea of their journey. 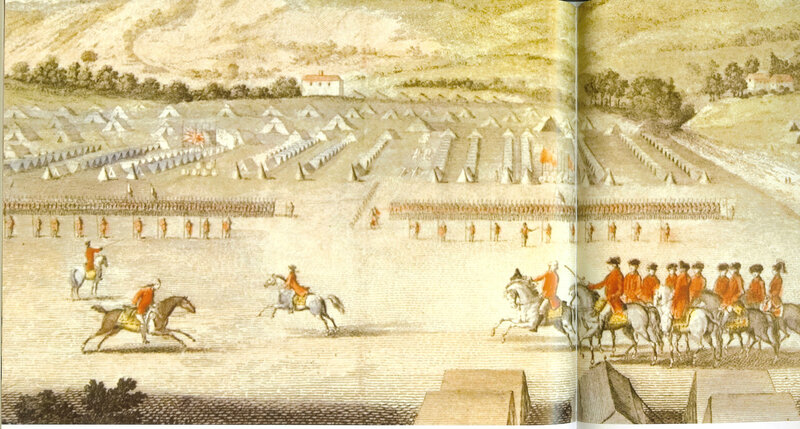 7th July 1800: . . . . . . . From hence we went to dinner at Lichfield, where Mr Cooper sent a servant to meet us, with the key of a gentlemen’s grounds, going through which shortened our way to Hamstall Ridware, where we got to tea. Cooper had walked about a mile from their house on our arrival, at which our dear Caroline ran out to meet us; but after so many months’ absence, she and myself were so overcome, that strangers might have supposed it a parting scene, instead of a most joyful meeting; but my sorrow was soon turned to its contrast, to find them all so well, and pleasantly situated. 9th July 1800: In the evening we went a trout-fishing on the Blythe, a river running at the bottom of a meadow before their house. 10th July 1800: Walk’d up the village to Smith’s the weaver, to see the manner of that work, and ‘tis really curious to see with what astonishing velocity they threw the shuttle. (Power-looms were not introduced till 1807; the shuttle was then thrown, and batten worked by hand.) 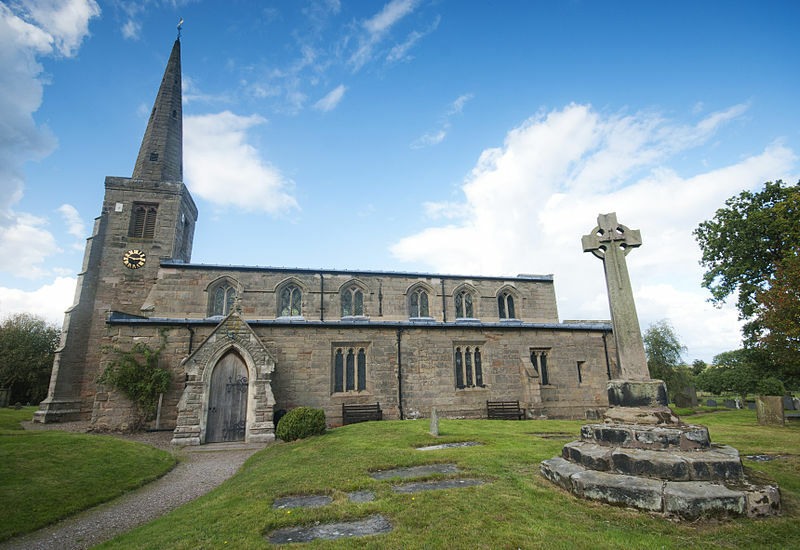 Hamstall Ridware Church is a rectory dedicated to St Michael, a very neat old spire building of stone, having two side aisles, chancel &c., and makes a magnificent appearance as a village church. 21st July 1800: That evening we all walk’d up to Farmer Cox’s, a very fine high situation, and most extensive views; indeed the prospect all round Hamstall is delightful. 22nd July 1800: We took a long hot walk to the village of Murry, to see a tape manufactury, of which seven gentlemen of the neighbourhood are proprietors. The noise of the machinery is hardly to be borne, tho’ the workpeople told us they themselves hardly heard the noise! Such is use! The calendering part is worth observation, as the tapes all go through the floor of an upper room, and when you go down to the apartment under it, you see them all coming through the ceiling, perfectly smooth and glossy, where the women take them, and roll them in the pieces as we buy them at the haberdasher’s, whereas in the upper room they all looked tumbled and dirty. 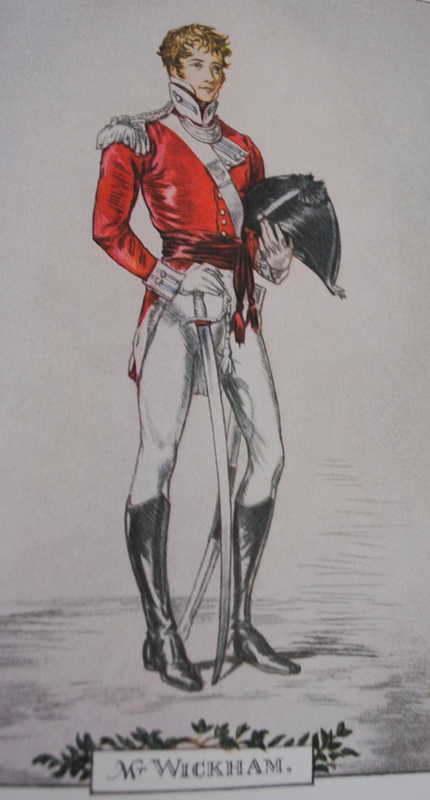 28th July 1800: We all set out early in the morn to see Shuckborough, Mr Anson’s, and Hagley, Lord Curzon’s. We went through Blythberry and Coulton, the latter a village rather remarkable for many of its cottages being built in a marl-pit with woods over it, the roots of its trees growing and hanging loosely over their little gardens, which are deck’d with all manner of flowers, and kept with the greatest neatness. 12th August 1800: All our party went a trout-fishing, but the heat was so intense it was hardly bearable. 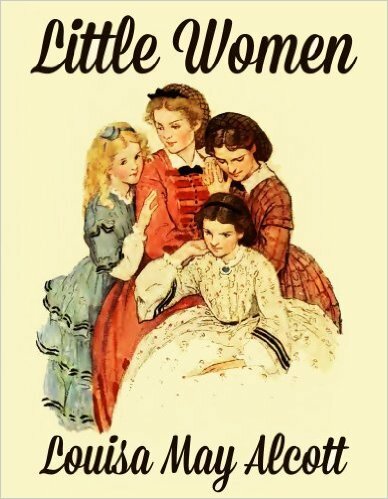 14th August 1800: I walked down to the river Blithe by seven in the morn to see Caroline and the three eldest children bathe, which they did most mornings, having put up a dressing house on the bank. 18th August 1800: We all passed a dull gloomy day, the following one being upon fixed for leaving our dear relatives. We reached Fawley on Wednesday the 20th by seven o’clock. 7th January 1801: Caroline Cooper was brought to bed of a boy (on my birthday). He was christened Frederick Leigh Cooper. 3rd May 1801: Our son Cooper preached, as Caroline, himself, and family came to stay with us the week before. 27th May 1801: The Coopers, to our inexpressible grief, set out with their five dear children to Staffordshire. 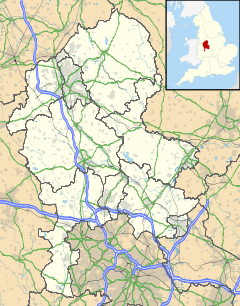 2nd August 1803: Mr Powys and I set out for our son Cooper’s in Staffordshire, and reached Hamstall on the 3rd about six. Had the inexpressible joy to see Cooper, Caroline, and their six dear children in perfect health. 5th March 1805: Our grandson Warren Cooper, born. 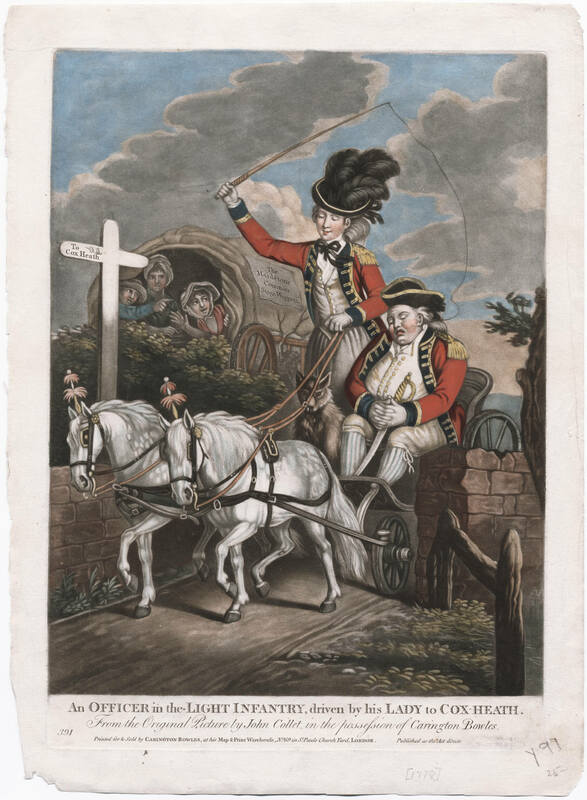 14th August 1805: We went out most mornings and evenings in the two donkey-chaises – very clever vehicles indeed. Caroline drove one, and little Edward was so pleased at being postillion to grandmamma, that. Though I sometimes drove myself, he most days rode my donkey, the carriages only holding one person each. Monday the 26th had been for some time fixed on for us to go to Matlock and Dove Dale. We set out a party of seven; we went through Blithbury and Abbots Bromley. We got to the Rev Mr Stubbs’ at Uttoxeter by half-past one, who asked us to dine with him. We went to see the church, rather an extraordinary one, very ancient, and the pews so oddly managed (This was the case at Shiplake Church, Oxon, before the restoration of 1870. The seats in the first pews in the chancel had to be lifted up to admit persons to the seats behind.) 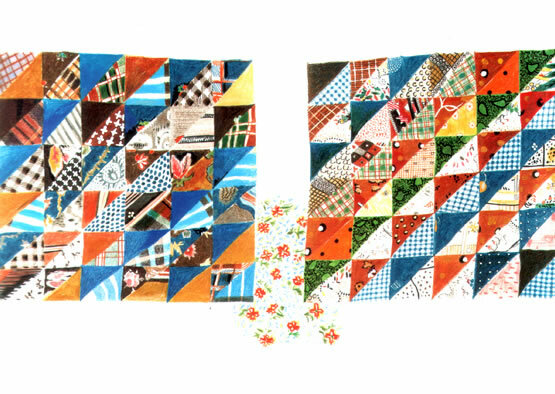 as three or four go through each other, and so narrow that, if those belonging to the outward ones happen to come first, without they are the most slender persons, it’s impossible to pass each other. Caroline and myself, who are not so could not help laughing and saying it was lucky we did not belong to this church . . . . . . .
31st July 1807: Mr Powys and myself went to Hardwick to see the Coopers; the children in high spirits with their five Hardwick cousins, so only saw thirteen together, as Tom’s were not there. The Coopers came to us afterwards. 1st October 1807: Our dear Caroline Cooper and children set off for Staffordshire. Extracts taken from the diaries of Mrs Philip Lybbe Powys and any notes I have added appear “not in italics”. The visiting party asked many questions and this completed the information exchanges at Hamstall Ridware, although the Reverend Ty Leyland had also organised talks on the history and architecture of the church and its locality, which were also listened to with great interest. The Jane Austen Society Midlands was thanked most warmly for their company and for sharing views on all things Austen with the Jane Austen Society of North America tour party. c2014, Jane Austen in Vermont; text by Chris Sandrawich; images as noted. I really wanted to call this Armchair Traveler Chapter “Jane Austen’s Bath.” But holding forth about Jane’s bathing habits would have given me ammunition for a brief and not very interesting article. 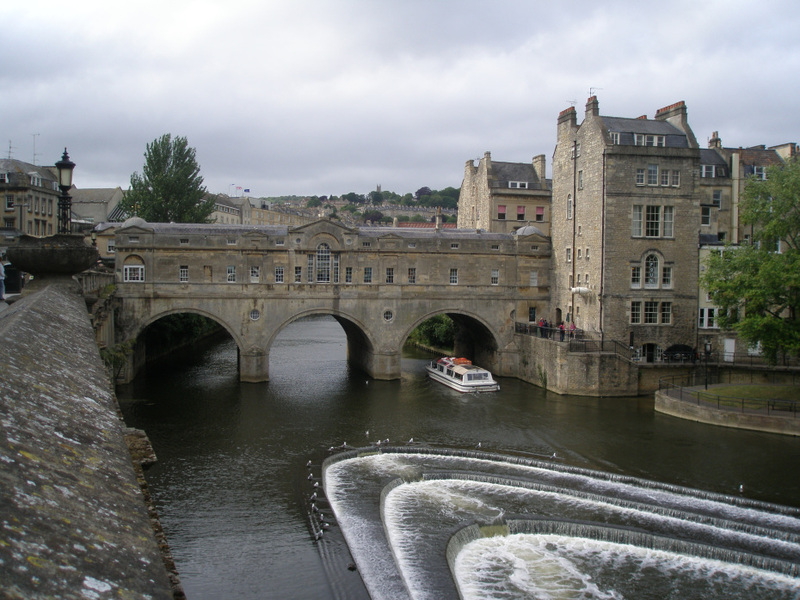 So, instead it’ll be “Jane Austen AND Bath.” I’ll try to describe the City as it was during the times when she lived there, and I’ll show you many of the locations that she used in two of her books. Happily, the built world of today’s Bath is largely unchanged from Jane’s time. Over the past two centuries the City’s fame has protected it from indiscriminate “improvements,” and so visiting Bath today gives a fairly good impression of what Jane’s days there might have been like. If you’re reading this, it’s likely you’re Austen-informed, and have thus read NORTHANGER ABBEY and PERSUASION, which are called Austen’s Bath novels. 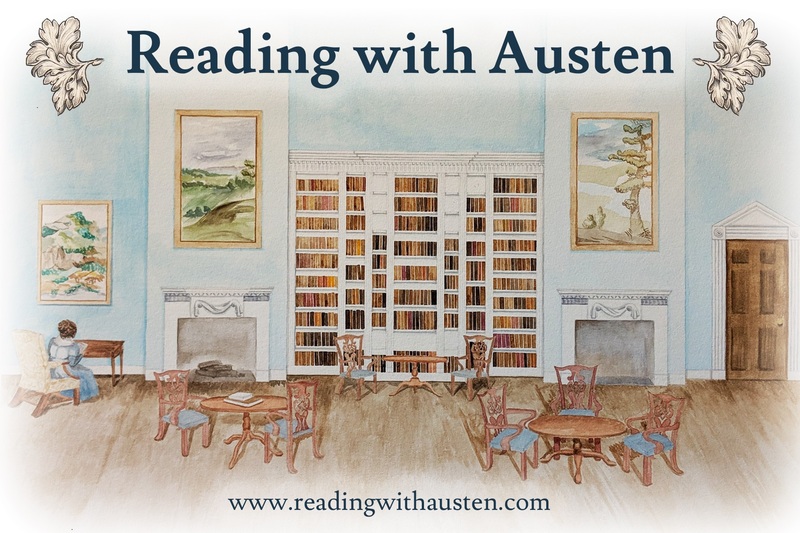 “The Crescent,” “Milsom Street,” “Pulteney Street,” “The Pump Yard.” I also wanted to clear my confusion, once and for all, about all those infernal ROOMS that Austen’s characters scurried between: the Upper Rooms, or the New Assembly Rooms; the Lower Rooms; and the Pump Room. Even though my time there was short, and the weather awful, I managed to get a sense of the lay of the land, which is what I’d like to share with you. This is a long post, so if Jane is your only interest, then scroll through it to the end – but I advise you see read the whole thing – I was in a Liverpool a few years ago and it was very nice to re-live that trip – so thank you Nan! English Country House Interiors, by Jeremy Musson. Foreword by Sir Roy Strong; Photography by Paul Barker. New York: Rizzoli, 2011. A highly detailed look at the English country house interior, offering unprecedented access toEngland’s finest rooms. 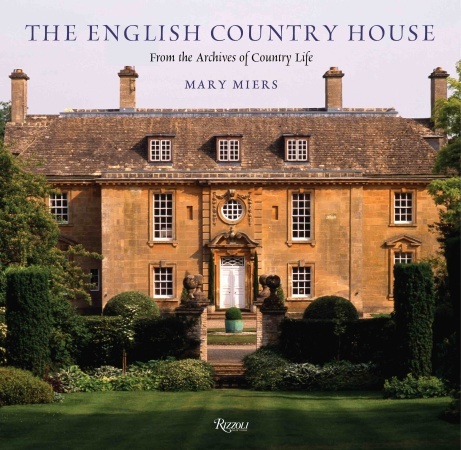 In this splendid book, renowned historian Jeremy Musson explores the interiors and decoration of the great country houses ofEngland, offering a brilliantly detailed presentation of the epitome of style in each period of the country house, including the great Jacobean manor house, the Georgian mansion, and the Gothic Revival castle. 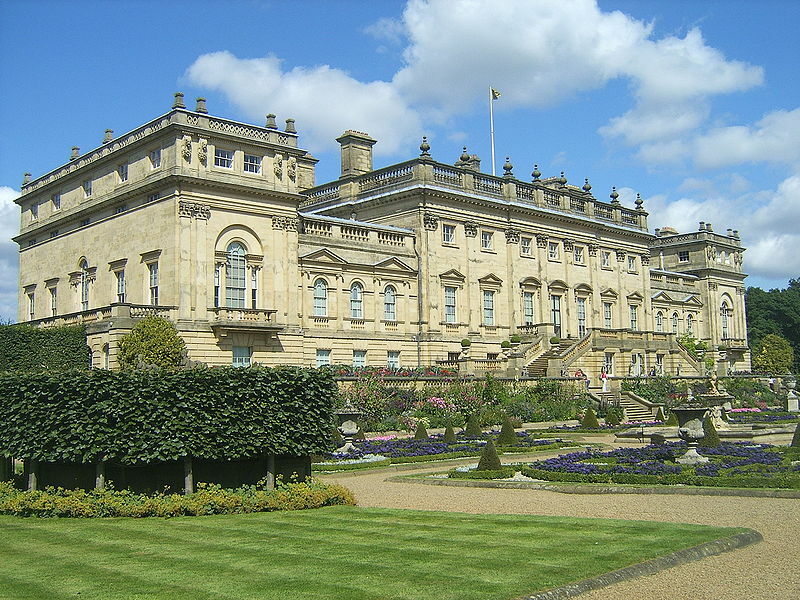 For the first time, houses known worldwide for their exquisite architecture and decoration–includingWilton, Chatsworth, and Castle Howard–are seen in unprecedented detail. 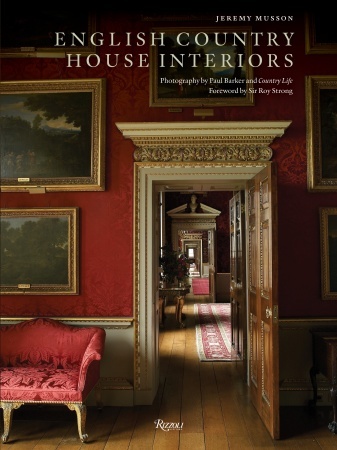 With intimate views of fabric, gilding, carving, and furnishings, the book will be a source of inspiration to interior designers, architects, and home owners, and a must-have for anglophiles and historic house enthusiasts. 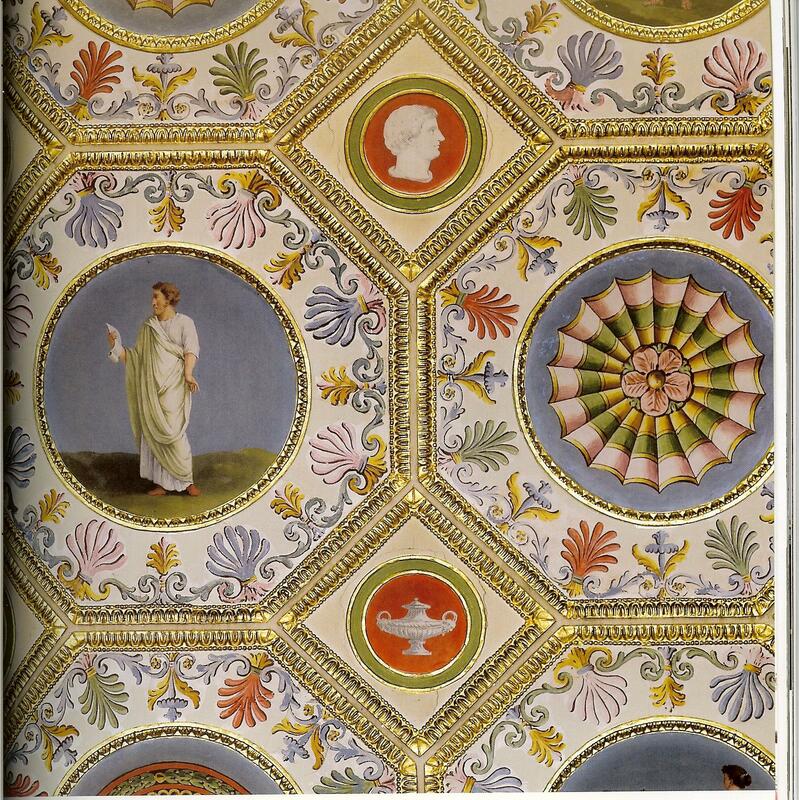 The fourteen houses included represent the key periods in the history of English country house decoration and cover the major interior fashions and styles. Stunning new color photographs by Paul Barker-who was given unparalleled access to the houses-offer readers new insights into the enduring English country house style. Supplementing these are unique black-and-white images from the archive of the esteemed Country Life magazine. 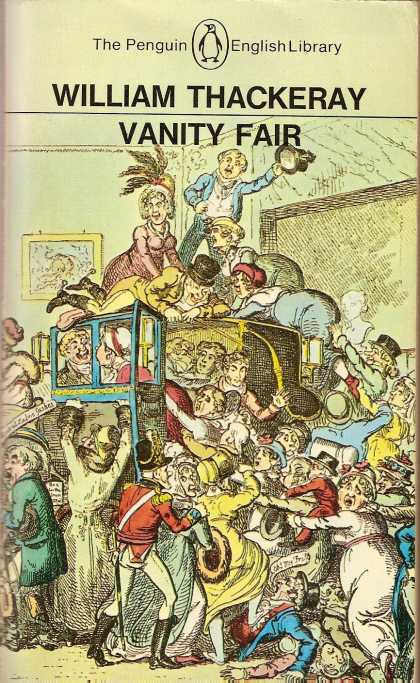 Among the aspects of these that the book covers are: paneling, textile hangings (silks to cut velvet), mural painting, plasterwork, stone carving, gilding, curtains, pelmets, heraldic decoration, classical imagery, early upholstered furniture, furniture designed by Thomas Chippendale, carved chimney-pieces, lass, use of sculpture, tapestry, carpets, picture hanging, collecting of art and antiques, impact of Grand Tour taste, silver, use of marble, different woods, the importance of mirror glass, boulle work, English Baroque style, Palladian style, neo-Classical style, rooms designed by Robert Adam, Regency, Gothic Revival taste, Baronial style, French 18th century style, and room types such as staircases, libraries, dining rooms, parlors, bedrooms, picture galleries, entrance halls and sculpture galleries. 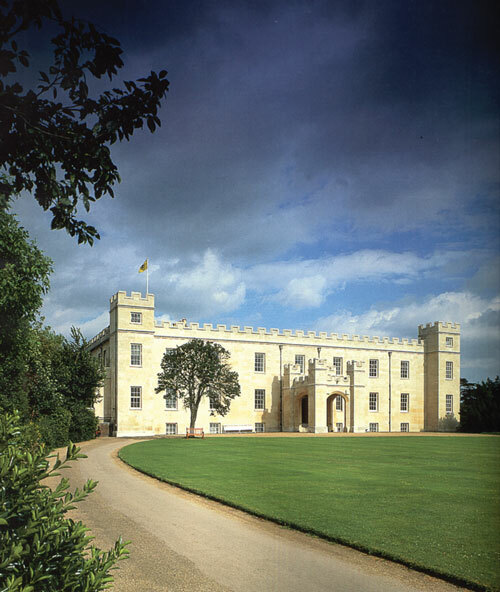 The range is from the early 17th century to present day, drawn from the authenticated interiors of fourteen great country houses, almost all still in private hands and occupied as private residences still today. The book shows work by twentieth-century designers who have helped evolve the country house look, including Nancy Lancaster, David Hicks, Colefax & Fowler, and David Mlinaric. The Table of Contents: I’ve added some exterior shots and links for several of the houses – you will have to buy the book for the sumptuous interior adventure! Written by Mary Miers, Contribution by Jeremy Musson, Tim Richardson, Tim Knox and Marcus Binney. New York: Rizzoli, 2009. What are your favorite English architecture / interior decoration books – ones you have or ones you want? 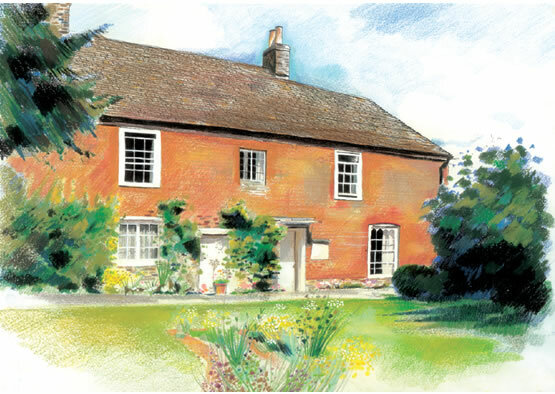 *An illustrated lecture featuring the houses in Jane Austen’s real and imagined worlds ~ we will be visiting Chawton, Bath, Winchester, and Kent, pairing pictures of real houses with descriptions in the novels of Austen’s various cottages, manors, and estates ~ Barton Cottage, Longbourn, Mansfield Park, Sotherton, and of course Pemberley! 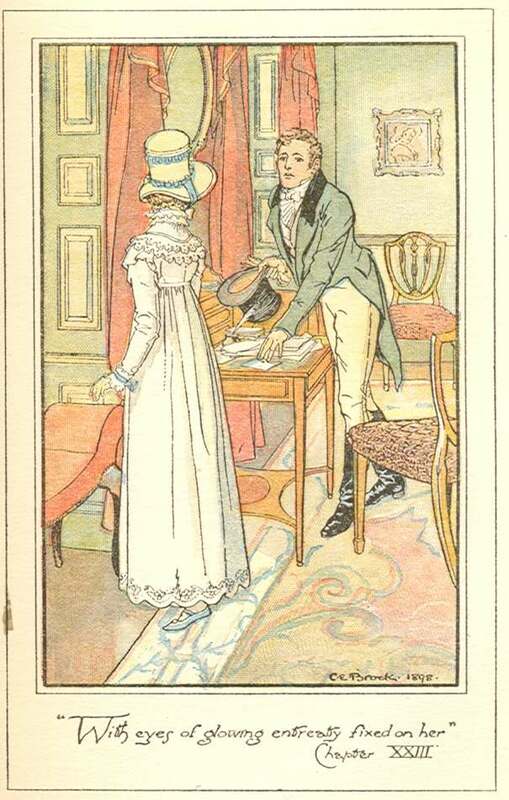 Jane Austen Cards for Every Occasion! I received the information on these cards just before I was off on a holiday, so just now getting to post about them…. 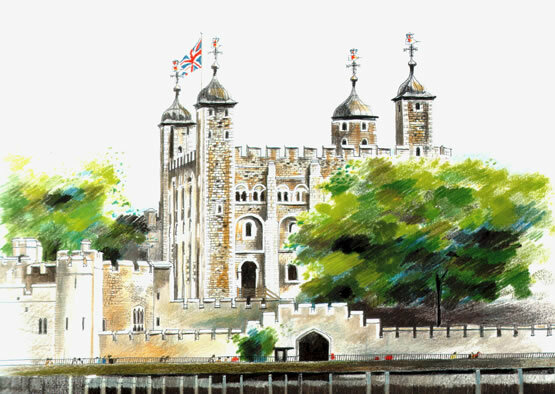 Tony Heaton’s “Greetings from England” line of cards and limited edition prints are quite lovely, our interest being of course those connected to Jane Austen [though certainly not limited to Austen only [isn’t that a name of a blog out there somewhere?] 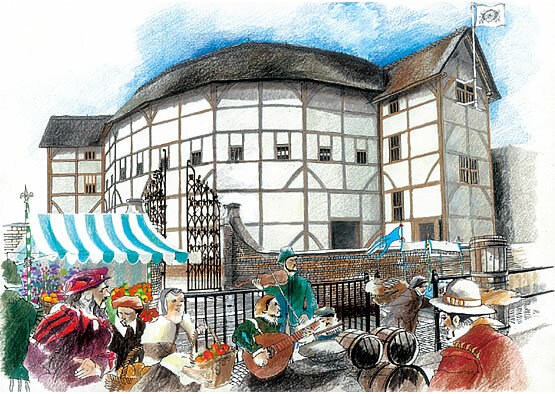 as I for one cannot resist the Shakespeare, the Hardy, or a number of the grand stately houses he depicts. Mr. Heaton, MDesRCA, kindly sent me several samples of the Jane Austen set – I will be ordering a number of each to sell at our meetings to benefit our JASNA-Vermont group. *All images from the Greetings from England website, copyright Tony Heaton, and used with permission. Please request permission directly from Mr. Heaton for re-use of any kind. 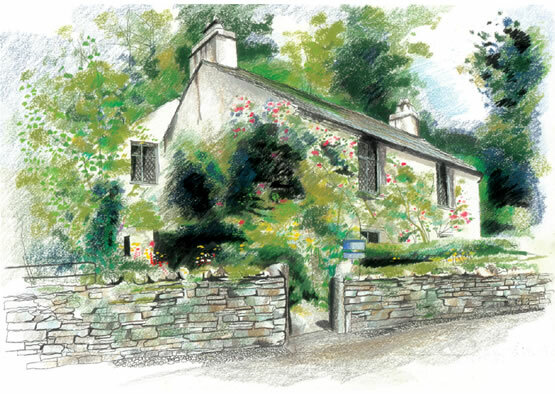 Mr. Heaton also creates home portraits – contact him at his website for further information. Copyright @2011 by Deb Barnum, of Jane Austen in Vermont.